The good news is that Howard The Duck - Private Eye - was able to safely return to Earth with the stolen necklace he was hired to recover, after an unexpected journey into deep space. The bad news is that just after getting back, he was mugged by an old lady. But not just any old lady! He was mugged by Peter Parker's saintly Aunt May! Not that Howard knows this or would care even if he did. All he wants is the necklace back! But in his efforts to track the sinister senior citizen down, Howard will uncover a dastardly plot that will prove a thankful distraction from the most humiliating stakeout ever. 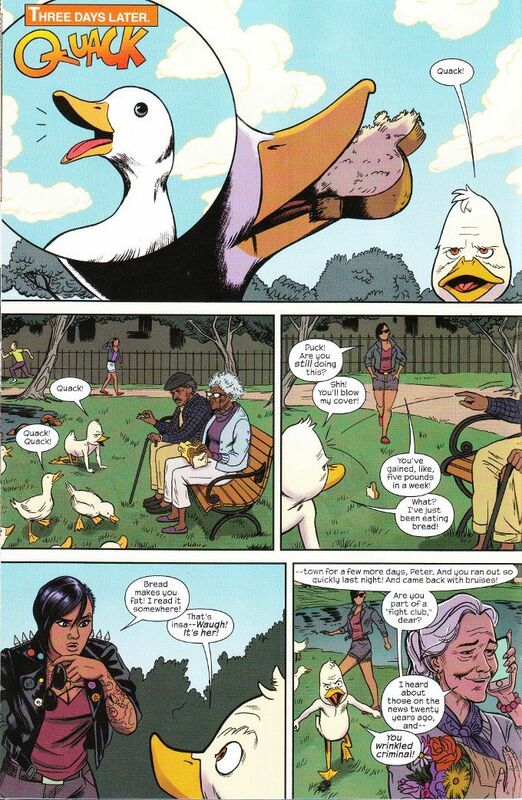 Chip Zdarsky continues to roll out the funny. The main story is a laugh-riot and I refuse to reveal the hilarious truth behind how Aunt May become one of NYC's Ten Most Wanted. 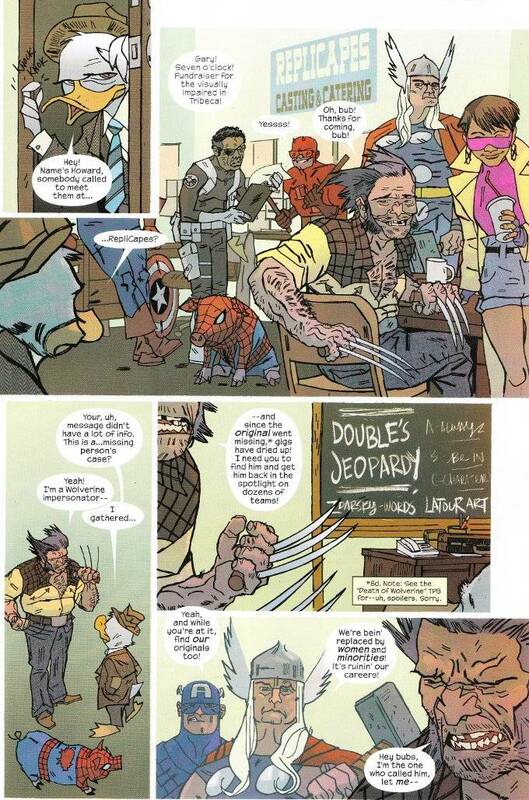 Nor shall I spoil the hilarity of the back-up tale, in which Howard is hired to find the missing and presumed dead Wolverine by a Wolverine cosplayer whose business is rather dependent on the hairy Canadian being alive and well. Just know that of you like to laugh, you will love this book. The artwork for this book is just as good as the writing. Joe Quinones, Joe Rivera and Rico Renzi continue to be a terrific trio on the main story. And Jason Lafour proves to be their equal in his work on the back-up tale.